Argentina For Less does not mean budget travel..
..it means budget-conscious travel for those who want the most value for a reasonable price --- “more for less,” if you will. If you entrust us to book your trip, you’ll know that you just chose the best-value tour operator in the market. As our excellent testimonials suggest, we offer a first-class service, the best value, and top experience, no matter what type of trip you book with us. A higher-expense travel company does not ensure more credibility, security, or safety, and it certainly does not guarantee a better trip. On the contrary in many cases it is just the opposite since the “higher-priced” travel companies often do not have local staff “on the ground” in South America who know the ins and outs of what you want to experience as well as how to relate to you, the traveler. Read more about us and allow us to properly present why we are the top choice in the market. … and devoted to providing the best-value packages to Peru, Argentina, Bolivia, Brazil, Chile, and Ecuador. 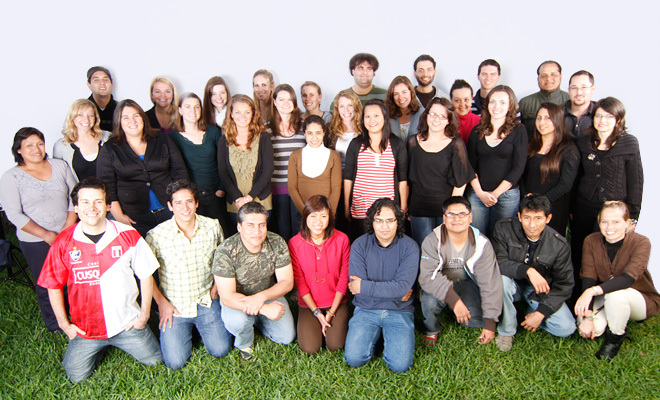 We have offices in Austin (Texas, USA) as well as Lima and Cusco (Peru). Argentina For Less is part of the Latin America For Less travel group, a leading tour operator founded in 1998 that services over 2,500 travelers a year. We currently have a full time staff of 40 people. We specialize in making sure that you get the most out of your investment: the best value hotels; superior tour services; comfortable transfers and transportation; and an impeccable customer service. We don't aim for those that are solely budget travelers, but we focus on budget-conscious travelers who want the most value in their travel experience for a reasonable price. Furthermore, we are extremely proud to assert we have the top testimonials in the South American travel market, and we are open to sharing the contact information of any client that has allowed us to publish his/her testimonial. With Argentina For Less, you get the real deal…every time! Check out our over 2,000 testimonials kindly provided by our many satisfied customers. Lower Prices + Excellent Service = Returning Clients + Client Recommendations. Why are our prices significantly lower than most of our competitors'? Do we cut corners? Do we have hidden costs? No, neither of these reasons are the case. The main reason is that we are not middlemen, intermediaries, or just another travel agency inflating profits. We are tour operators, and we operate tours for our clients only. Another mutually beneficial reason is that most of our staff is located in Latin America. This allows us to keep our costs low (although we compensate our team members well above the average compensation for South America), and to be onsite to make sure your travel arrangements are carried out in a flawless manner. Finally, we spend significantly less than our main competitors on advertisement, as we rely on word of mouth recommendations to take care of our advertising for us. We have highly personalized customer service..
..and you can always expect a detailed reply within one business day. You can count on our staff for: genuinely friendly service which is committed to a belief in sustainable travel; fast, detailed, and honest replies; great recommendations for your trip; and more. We are completely focused on making sure that our clients complete their travel experience feeling like they have received more than what they have paid for. We can either work with you to put together an itinerary that fits your specific needs or you may join one of our fixed group departures. Our staff is fully qualified to work with you to customize an itinerary on a service by service basis. Just tell us what you want and we'll make it happen! We hire team members that have a passion for travel in Latin America. We are travelers selling to travelers. A key difference between us and our competitors is that we are experts on the destinations we sell, and we choose to share our travel experiences as a career. Our people are passionate about what they do, and it shows all the way from sales to service and beyond. We try very hard to find the best people out there. Those who join our team must meet the following requirements: excellence, well-rounded education, superior work ethic, passion for travel, and a belief in giving back to their communities. Most of our staff is educated in either the United States or Europe. We have a diverse community that includes nationals of the following countries: USA, UK, Argentina, Peru, Colombia, Germany, Serbia, France, and many others. We operate tours for our clients only. The travel agency makes the sale (middleman). The tour operator does the legwork (reservations and all travel logistics). There are very few travel agencies based in the United States and Europe which have local tour operator offices in the countries they sell. We are one of the few, thus ensuring the maximum quality of service as we are committed to provide the best experience to all our customers. We have high standards that, whenever possible, meet U.S. and European travel standards. For many years we have extensively researched who the best outfitters and providers are. Consequently, we work with superior hotels, transportation services, tours, guides, and restaurants. A key advantage we have when compared to our competitors is our “feet on the street,” and our personal knowledge, experiences, and capabilities everywhere our clients travel. This makes us extremely unique in the world of South American travel companies. It also instills trust in our clients, compelling them to travel with Argentina For Less on a regular basis…a demonstrated loyalty that is quite uncommon in the world of travel.